Choose the hotel and dates and book a room. Easy! You'll get the door code by text message and e-mail. At an Omena Hotel you're always in the heart of the city. Prices correct as at 20 Apr 2019 03:04:54 +0300 and are subject to change without notice. 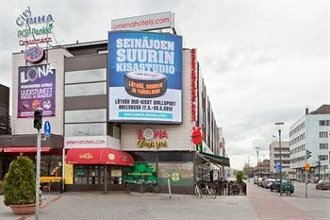 Are you looking for the best hotel offers in Finland? We are more than glad to help you! 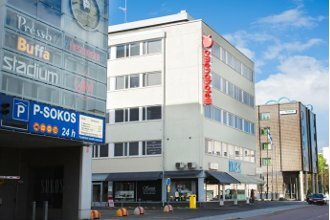 Omena Hotels is a Finnish family-owned hotel company functioning in six cities: Helsinki, Turku, Tampere, Jyväskylä, Seinäjoki and Vaasa. Our hotels provide you with comfortable and well-equipped hotel rooms at affordable prices, always in the city centre. Whether you are on a holiday or a business trip, take a look at our best hotel offers and book a room! 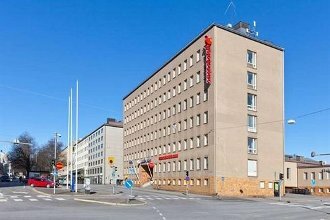 Whether you are staying in a Omena Hotel in Helsinki, Tampere or other cities, you will find our hotel always in the centre of the city, close to the services and transport connections. Check our latest hotel offers and availability and book a hotel room right here. The best prices are always here on our web page. And it’s quick, easy and safe! High-quality beds for four, bathroom and a large TV to make you feel like home. In addition there is a fridge, a microwave, tea/coffee making facilities and free wifi in each room. Each room has a large, high-quality double bed and two extra beds. Check out this video to see how our domestic beds are manufactured. Sleep well! During your stay you can come and go to and from the hotel as you wish by using your own door code. There’s no need to wait in the lobby, or guarantee your room in case of late arrival! 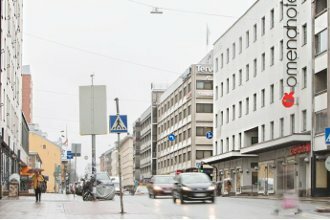 Do you need an affordable place to stay in Helsinki? 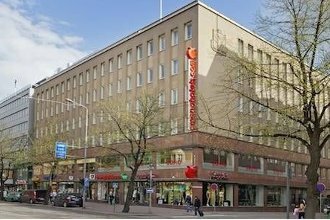 When you want to find a cheap hotel in Helsinki city centre, we offer you a quality solution: a comfortable, fully furnished hotel room that also fits your travel budget. Restaurants, cafés, shopping centers, museums and other attractions are waiting for you just a short walk away. Have a good night’s sleep and discover the city from its heart! Our hotel is located just around the corner from the Forum shopping centre, near the Amos Anderson Art Museum. Step out the hotel door and you are already on your way to new experiences! Finland is known for its beautiful nature, clean air and of course the thousands of lakes. In Finland nature is always in close proximity, even in the cities. 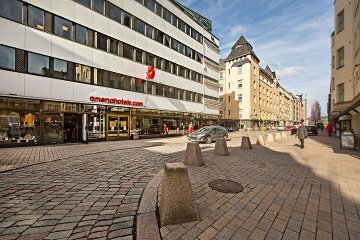 Omena hotels are always in the city centre and near the beautiful parks in the middle of the Finnish cities. And in Finland city centres and Omenas are also a short distance from real forests and natural parks. Combine city living with a bit of fresh air and Finnish wildlife even in a short stay in one of the cities.